As networks grow, the traffic on them grows as well. A network where all traffic flows throughout the entire network quickly becomes inefficient and overloaded. The process of dividing a network into smaller, more manageable sections is segmentation. Cisco switches, routers, and bridges all work to do this in different ways. 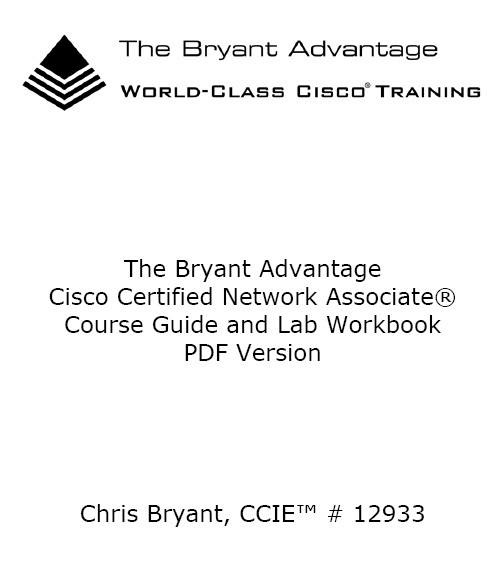 Before analyzing how Cisco devices perform this task, it is important to understand the terms broadcast domain and collision domain. A broadcast domain is the set of hosts (usually end user PCs) and network devices that will receive all broadcasts sent on that segment. A broadcast is a message that has no specific destination; every single device on the network will receive it. If too many hosts exist in a single broadcast domain, congestion can occur. Poorly defined broadcast domains can also lead to a broadcast storm, occurring when one device sends a broadcast, and in response, all hosts receiving this broadcast answer with a broadcast of their own. The number of broadcasts continues to rise until they begin to block other network traffic.